Tips For Choosing The Right Paint Color For Your Interior. Having to pick from a wide range of colors what best suits your interior can be tiresome and confusing. You cannot use all the colors of the rainbow and their shades since they are quite a handful. However, you can use the shortest and simplest way to getting the right paint color for your interior without much hustle. Here are some tips to guide you through as you make this decision.
. Here are some tips to guide you through as you make this decision. Go For Your Favorite Colors First. List all your favorite colors first as a headstart in your decision making.You may find that if you blend them together, you will come up with various color options that you would love for your home interior. Always start with your favorite colors first and not the colors that are currently trending, this is your home after all and there is no greater inspiration than seeing your favorite color every day first thing when you wake up. Get A Color Chart For Assistance. In as much as you would want your interior looking colorful, you may not have any idea of the colors that match. 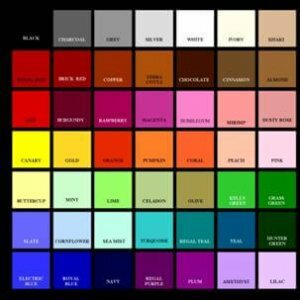 Getting a color chart will guide you on the different shades that will make it easy for you to match the colors or even get an idea of how to get light colors to work with darker colors. The color chart also comes in handy for those that are color blind. Identify The Texture Of Your Walls. The texture of your walls is also an influence on what colors you choose. If you want to paint the room, you have to pick a color texture that best goes with your wall to avoid getting it wrong. You can also change the whole appearance of your interior, not by painting only, but by putting up wallpaper that has the same texture as your interior. Work with the stuff in your room. Consider the color of your furniture, curtains, doors, and flooring, before choosing your wall colors. This will save you the trouble of having to go through magazines to figure out other colors out there that might not necessarily match with your room’s surroundings. This also acts as a guide as to what colors to avoid. You don’t have to match the same color schemes just because they fit together. Explore different themes and bring them together. You can choose a vintage look and tailor it to a brighter or different color just to see how it will turn out. You never know, it may turn out to be a good color surprise. 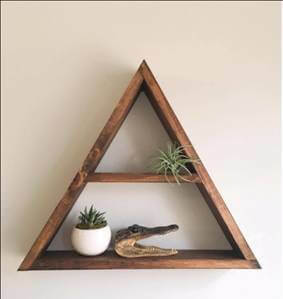 Compliment it with some great-looking wall hangings. Having one shade of color in the entire house may be a bit boring. If you don’t want to explore other colors, try different shades of the same color and paint on different walls around the house. 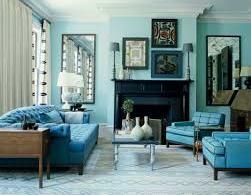 You may get a lighter blue and match it with a darker shade and the effect in that room will be breathtaking. Check online for home interiors with monochromatic color schemes and choose the shades of color that you think will work best with your interior. Match The Theme In The Room With Your Color Choice. The color’s you choose should complement the room’s theme. It is not sensible to paint dark colors in a baby themed room. 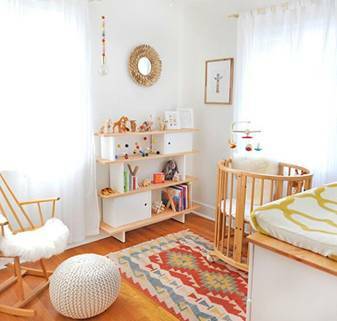 The mood in that room should be bright to catch the attention of the baby. Brighter colors bring some sort of joy and satisfaction and a sense of calm to the baby. Try painting dark walls in such a room and your baby might even get cranky and cry all the time due to the mood portrayed. It is important that the wall hangings remain as bright and vibrant as the wall color. Seclude a room where you can test your ideas before putting the actual paint on your walls. This will prevent you from damaging your walls each time you paint and have a second thought about those colors. It is also cost-effective since you don’t have to use up all your paint just to realize it is not the color scheme you wanted. Get samples of colors first and after you have made your decision then you can buy the paint that you have decided on. Consult a color specialist for a second opinion. Even though your colors seem to fit perfectly, do not shy off from seeking an expert’s opinion. This may help in guiding you on how to get the lighting of the room to go well with the colors that you have picked or even add some more colors just to make your home interior look more lively and welcoming. You may even decide to go to those home expos just to see things practically before you finally complete your look. Create more space with colors. If you have limited space, try and get colors that will make your space look bigger. Having darker colors will make the room seem smaller. Try getting very light colors and play around with their shades to achieve the impression of a wider space. Match the colors on the walls with those of the curtain windows and create a sequence out of it just to break the monotony of single colors. Minimize on your wall hangings. Getting lots of wall hangings may make your walls seem too busy and the color beneath might not achieve the intended effect. Try having as little of the wall hangings as possible if you want to maximize the wall color. For instance, you can get one different colored wall hanging on each wall or just two for every room to ease the congestion in one room. Multiple wall hangings tend to hide the colors on your wall and create that multi-colored cluttered wall look. These tips will help a great deal for both big and small spaces. Don’t shy away from being adventurous and at the same time don’t be too exaggerative on your color choice.